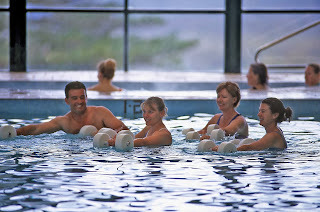 WHEN a mate, John Rozentals publisher of OzBabyBoomers (an online magazine for wrinklies like ourselves,) was telling us about the delights of a first-time encounter with a health resort, we couldn't resist asking him to share his tale with other possible sceptics like ourselves. For me it's a first-time encounter. 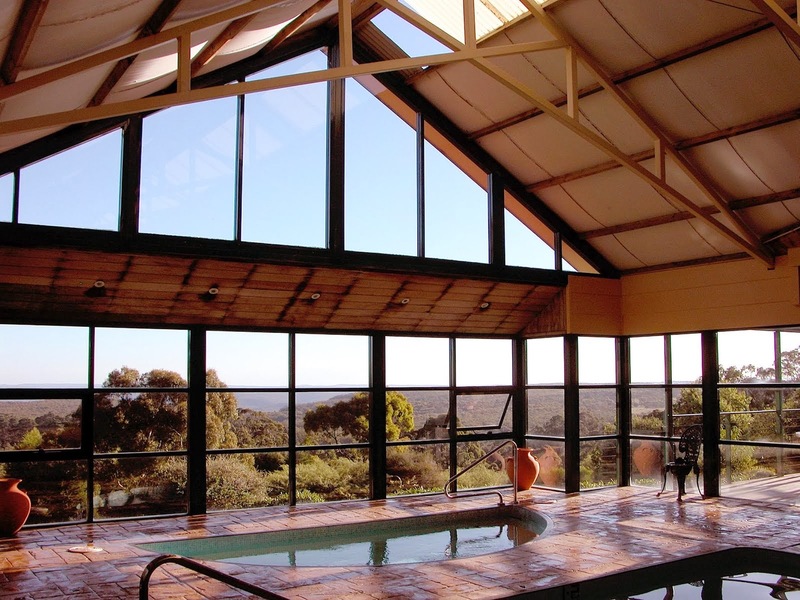 But for another guest Carolyn, this is her 25th pilgrimage to Solar Springs, a wonderful health retreat in NSW's beautiful Southern Highlands. As usual, Carolyn's trip is the last week of an annual two-month post-Christmas detox that she says clears cobwebs and readies her for another assault on the precarious south face of the mountain called multi-national marketing. And, she says, the joy of Solar Springs is that it's more easy-going, and doesn't have "the touches of fascism" – as she so delightfully puts it – that can be found elsewhere. "Here you can do as little or as much as you want," Carolyn adds, "and no one is going to chip you if you're relaxing in the lounge with a coffee and reading the papers, or just wandering through the gardens on your own." Like other regulars — and there seem to be plenty of them — she tells me the secret is to pace yourself between relaxing and signing up for the many activities on offer. 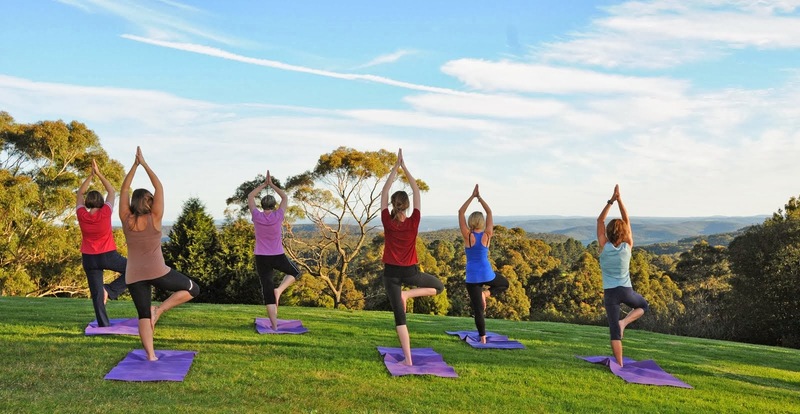 For the couple of days I'm here, my must-do's include guided bushwalks, short morning and evening walks, stretch and fitball classes, aquarobics, general gym exercises, pilates and power bar. Archery, naturopathy, meditation and yoga are also on the week's agenda, and guests are welcome to use the resort's bicycles and tennis courts (equipment supplied) free of charge. 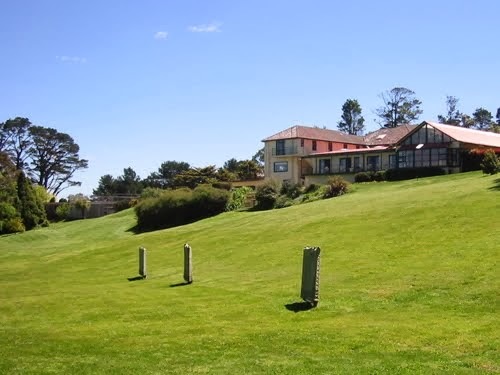 Solar Springs has occupied a rambling, superbly maintained 1920s Bundanoon guest house for more than 30 years, and the location is certainly an idyllic one. 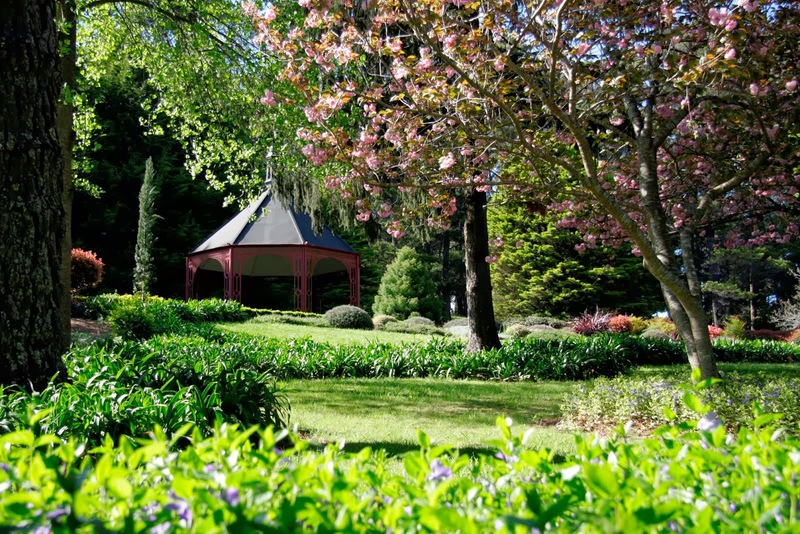 Just down the hill is the charming Bundanoon village centre, complete with delightful cafés and galleries. Once a year it becomes 'Brigadoon' — even the signs on the railway station change — and hosts an impressive Scottish Highlands Gathering, complete with caber tossing, stones lifting, haggis hurling and massed pipe bands. On the other side is a majestic outlook over Morton National Park, for spectacular bushwalking opportunities with Solar Springs staff. 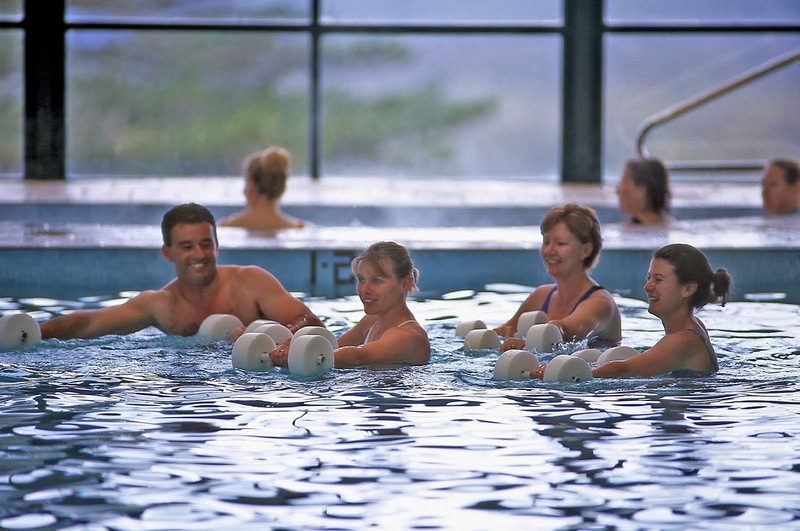 In 1995 a fully fledged aquatic centre was added — 25-metre heated pool, sauna, steam room and spa with a view — and the gymnasium offers the works. The resort's 'quiet room' — don't even think about using your mobile phone in here — has wall-to-wall glass on one side and provides a wonderful venue for contemplating the scene and sorting out your thoughts before heading to the dining room. And healthy, delicious food is a major part of the Solar Springs experience, with three meals a day included in the tariff. French-born Francois Razevet is in charge of the kitchen. He was a chef at 15 and worked in Provence, London, Corsica, Canada and Ireland before moving to Bundanoon in 2005, initially to work at Peppers Manor House. His menus change daily and he relishes working with — and "not murdering" — the vast range of top-quality local fresh ingredients he has access to. Lunch might include Provencal ratatouille with pasta and salads of tomato, basil, fetta pinenuts, red cabbage, apple, herbs and green leaves. On one of my nights there, the three-course dinner comprised entrée of goat cheese, watermelon and quinoa salad, main course of marinated chicken sous-vide (sealed in airtight plastic bag and cooked in a water bath,) baked polenta chips and tomato jam, and dessert of carrot cake, lemon sour cream and candied walnut. Absolutely delicious flavours, but still light and so well balanced. And, yes, there is a small, but well selected list of wines available at reasonable prices for dinner. As Carolyn says, no sense of fascism here. All-inclusive rates start at $450 per person twin-share for two nights midweek. The only extras come in the form of massages and beauty treatments. Rates for those vary but look at $80 per hour as the basis. And certainly don't miss the excellent remedial massage, or the pedicure. You'll feel a million dollars better for both. 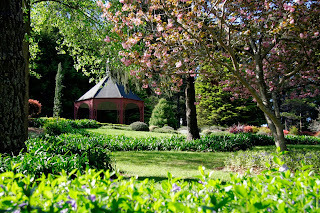 1.SOLAR SPRINGS a delightful one-time 1920s Bundanoon guest house. 2. POOL classes just one of many activities on offer. 4. 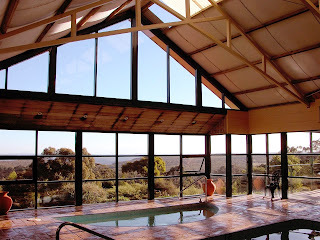 SPA the view overlooking Morton National Park. 5. ESCAPE for a read in the picturesque Gazebo. 6. MASSAGE to get all those little aches out. Sunny Ridge Strawberry Farm on the Mornington Peninsula is serving up a super sweet summer, with its annual Family Day in December, new twilight pick-your-own strawberry evenings in January, and its first strawberry cookbook available in time for Christmas gift giving. A big annual favourite, with free activities including tastings of different strawberry varieties, face painting, fairy floss and a treasure hunt. A sausage sizzle will raise money for charity, families can pick their own strawberries ($20 for two adults and two children, including 1.5kg of strawberries), and the deliciously decadent dessert café will be open 9am – 5pm. Thousands of visitors pick more than 40 tonnes of strawberries every year at Sunny Ridge. From January 2 - 31, strawberry picking hours will be extended on Thursday evenings, with twilight picking until 8pm and a special twilight menu available at the dessert cafe. (Normal picking hours are 9.00am – 4.30pm from November to April.) Adult u-pick: $8 including 500 gms of strawberries; child u-pick $4 including 250 gms of strawberries. Sunny Ridge, its shop, cellar door and dessert café are open 9am - 5pm daily until the end of April, then 11am – 4pm at weekends from May to October. You can always buy fresh strawberries, as Sunny Ridge also has a strawberry farm in Queensland. 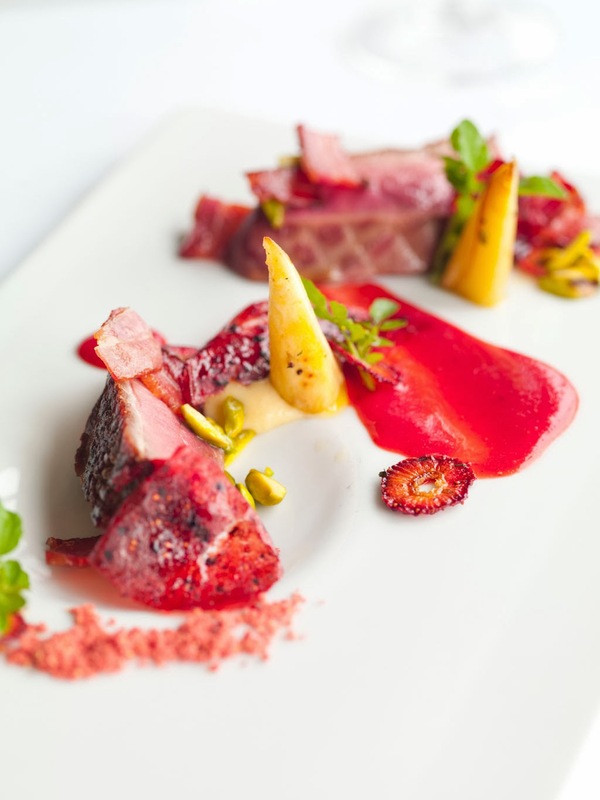 Visitors who buy a Mornington Peninsula Attractions Pass are also entitled to a 10% discount on any desserts and gourmet foods purchased in the Sunny Ridge strawberry shop or dessert cafe, including the farm-made icecreams and sorbets which have won many awards in the Royal Melbourne Show Fine Food Awards. The pass, which delivers more than $100 of value and costs $63 for adults and $45 for children, includes offers at seven top attractions: entry plus bonuses at Ashcombe Maze and Lavender Gardens, Cape Schanck Lightstation, Moonlit Sanctuary Wildlife Conservation Park and Peninsula Hot Springs, plus discount offers at Sunny Ridge Strawberry Farm, Box Stallion Winery and Peninsula Searoad ferries between Sorrento and Queenscliff. The Attractions Pass is transferrable, valid for three months and can be purchased online at www.emmp.net.au, at Ashcombe Maze and Lavender Gardens, Cape Schanck Lightstation, Moonlit Sanctuary Wildlife Conservation Park, Peninsula Hot Springs and selected outlets on the Mornington Peninsula.